12th Feb 2016 , We went in CLASS Balaju, Halchok and Kalanki. We meet with School head master, LSA and Children. We discuss with them about our program and support. In Kalanki head master told school is full damaged so they have difficulties for running regular class. There are 640 kids. In halchok, there are also TLC they have no any room. Now school also used 1 office room by rent. There are also 350 students. In Balaju, There are now good situation but some class running in TLC because there are more then 600 children but school room is not enough. We are supporting in those 3 school 90 students (Through CLASS / RSS Program). 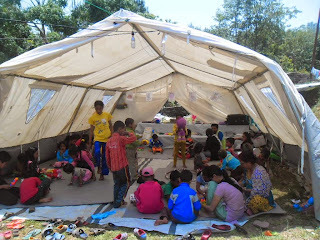 We are providing regular class, Dress, School kit , Snacks, Awareness class, Medical support for them.